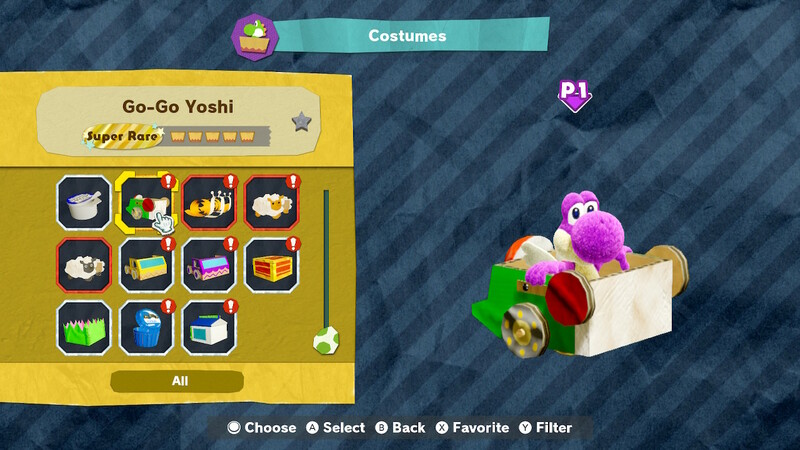 Costumes are a major part of Yoshi’s Crafted World as they change the look of your Yoshi. To keep track of each costume in the game, check out our Yoshi’s Crafted World costume list below. 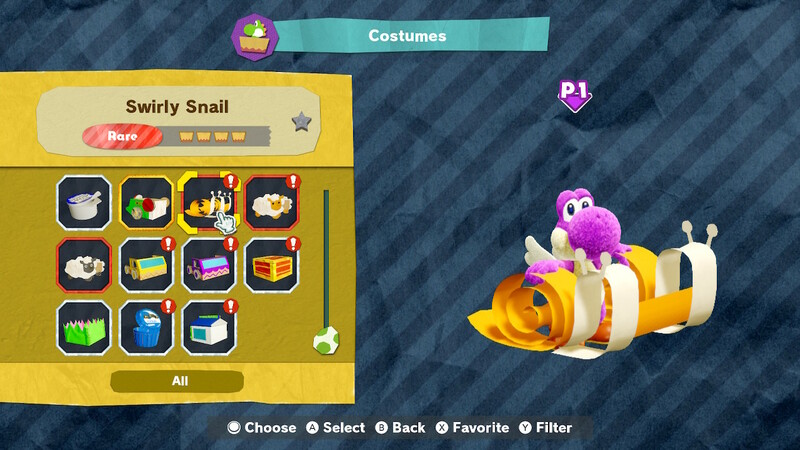 List Status: Updating. 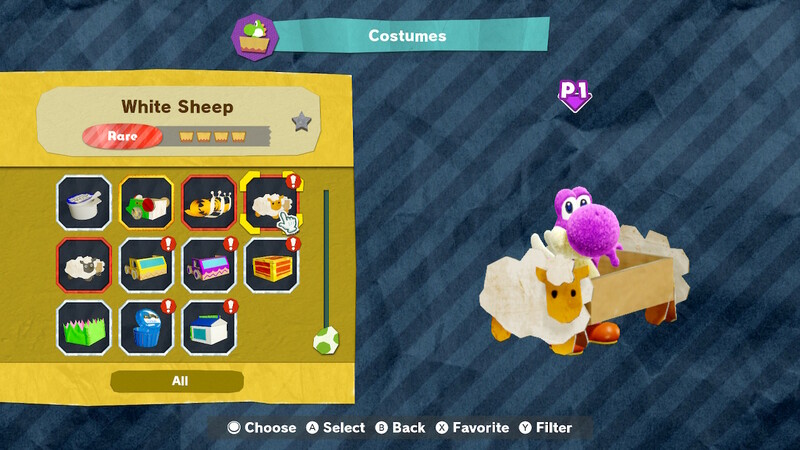 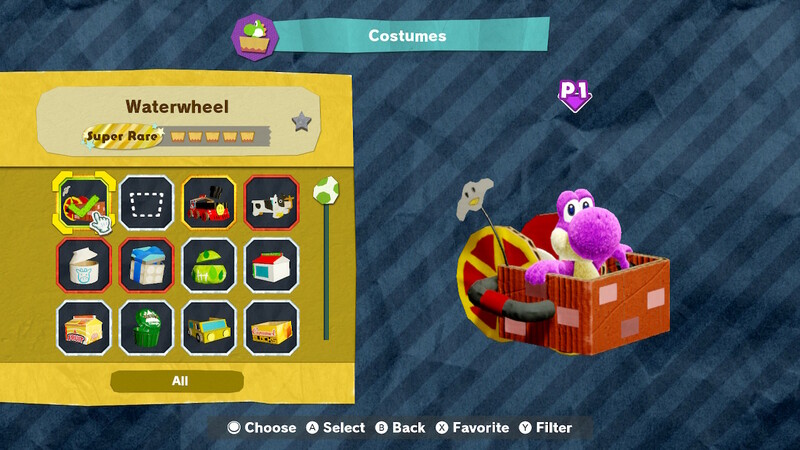 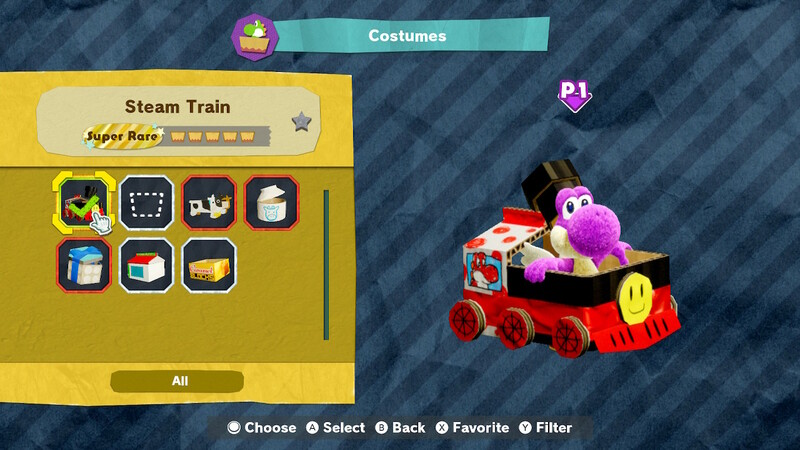 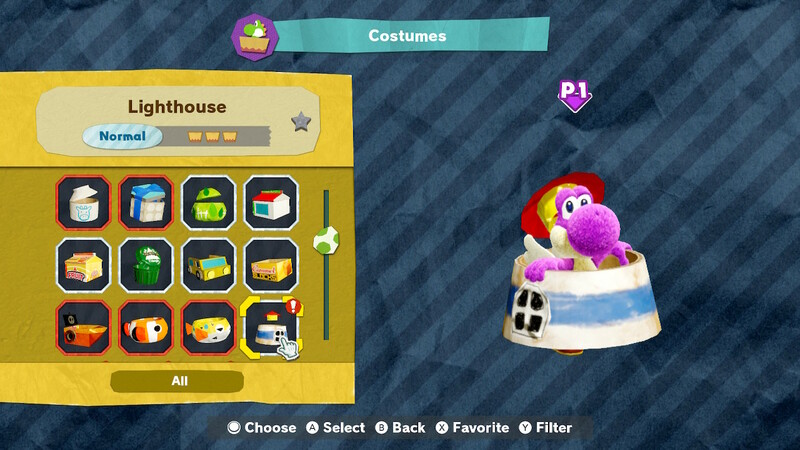 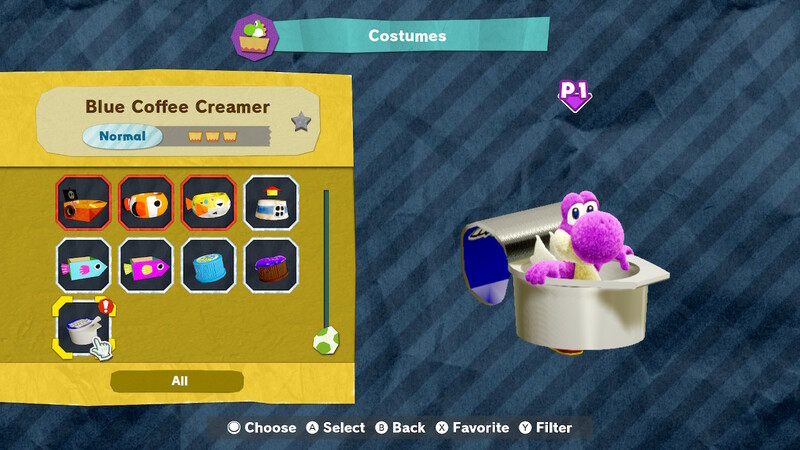 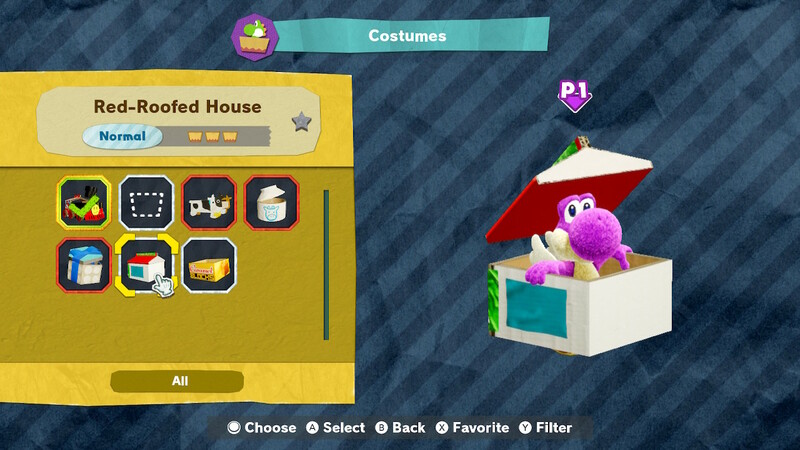 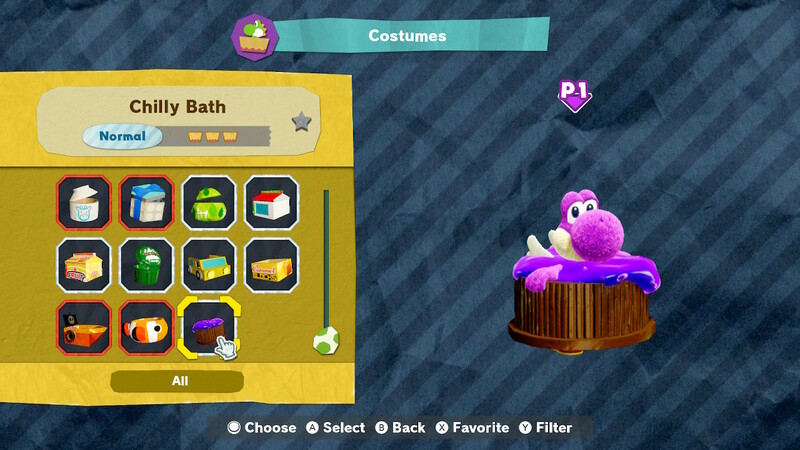 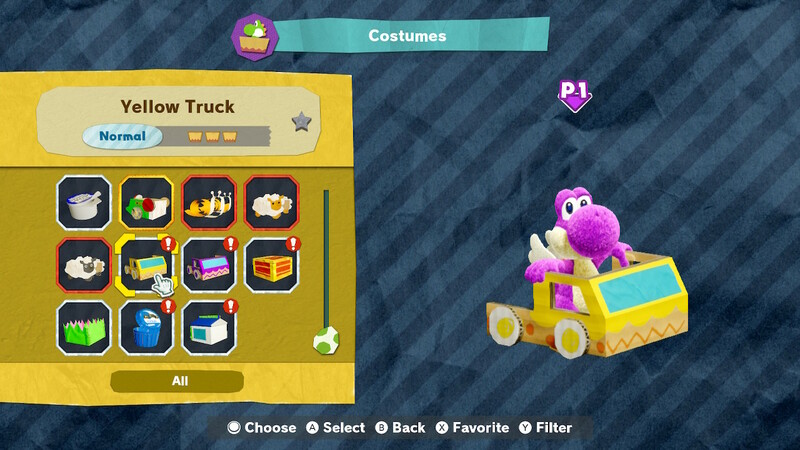 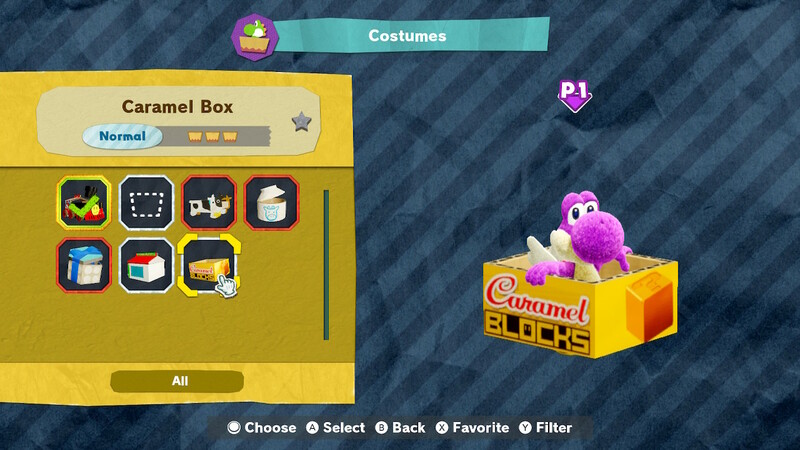 There are a number of different costumes for players to collect in Yoshi’s Crafted World. 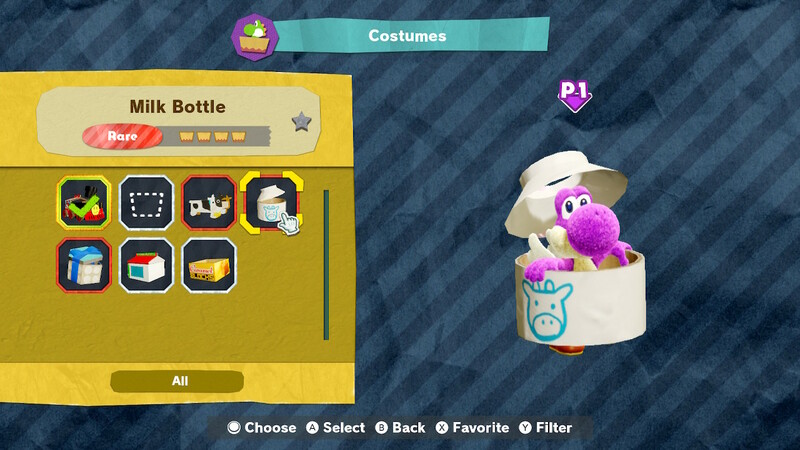 These costumes can be equipped on the menu > Costumes page. 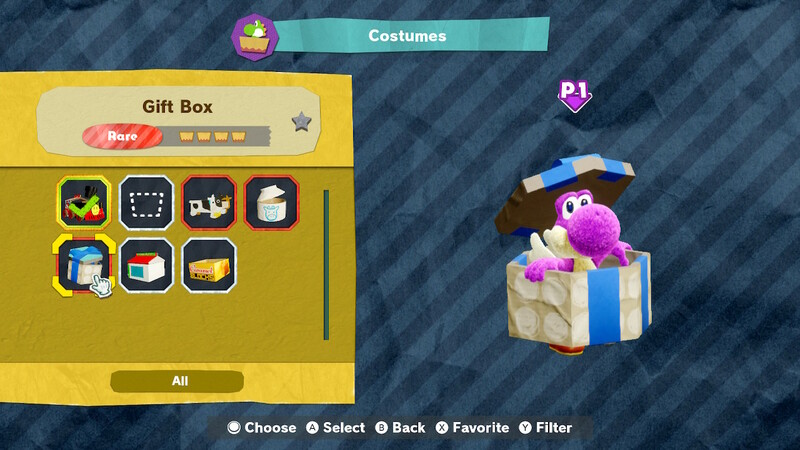 Here’s the costumes you can get. 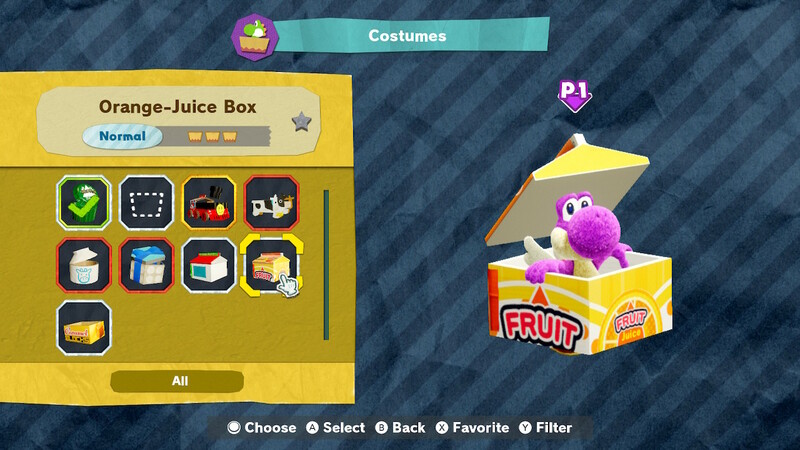 This costume is acquired through the Sunshine Station machine. 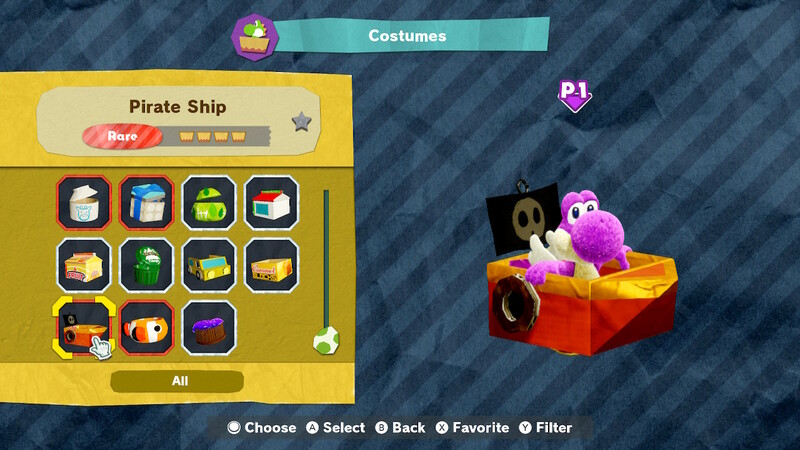 This costume is acquired through the Yarrctopus Docks machine. 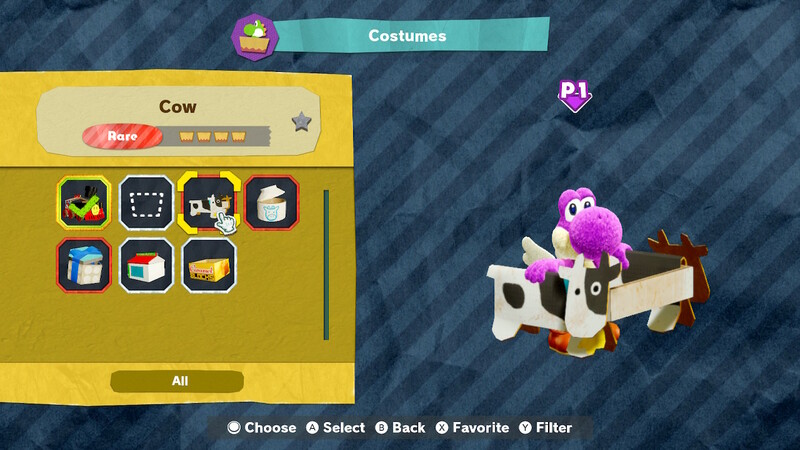 This costume is acquired through the Go-Go Land machine. 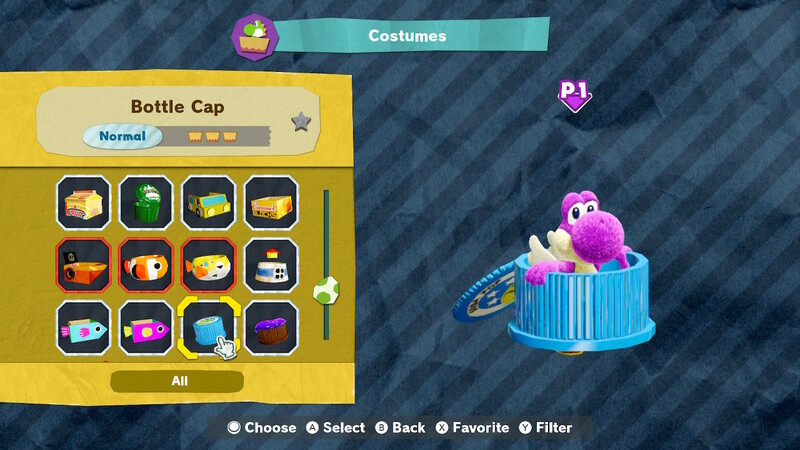 I will update this Yoshi’s Crafted World costume list with more costumes as I unlock them. Stay tuned and thanks for reading. 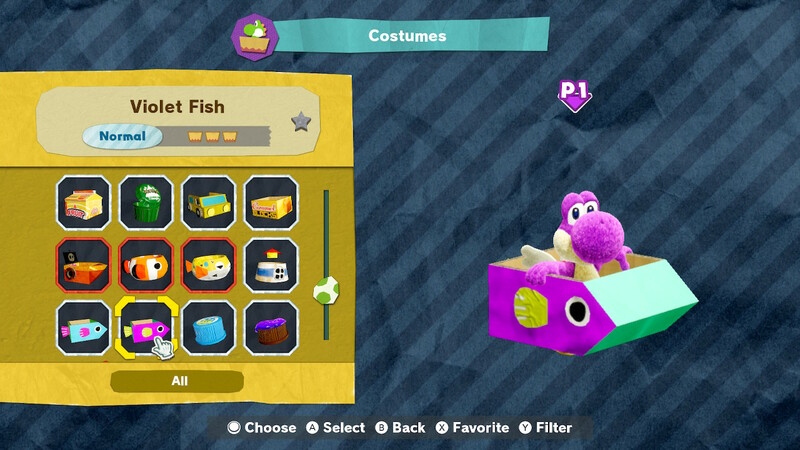 Thoughts on our Yoshi’s Crafted World costume list? 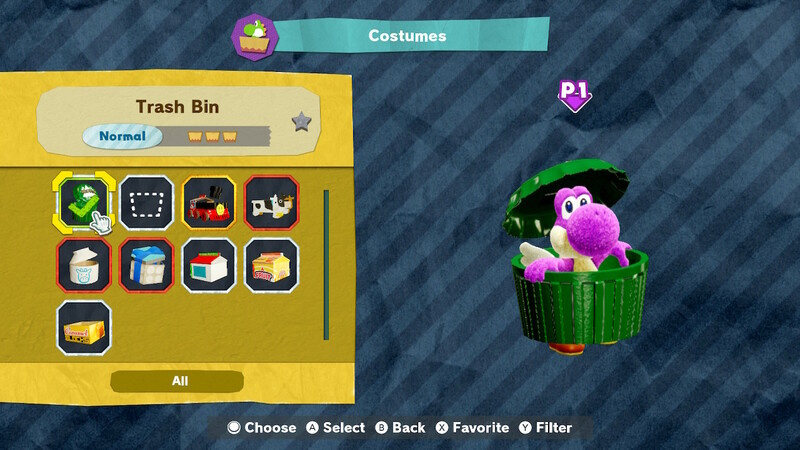 Drop them in The Pit below.